Phyllis Jean Johnson, 67, a resident of Ooltewah, Tennessee, went to be the Lord on Sunday, September 24, 2017. She was born in Hamilton County on May 27, 1950 to the late Hardy & Mae Davis. Many knew Phyllis through her hard work as a local dairy farmer for 43 years. She will be dearly missed by all that knew her. Along with her parents, she was preceded in death by her beloved husband, Roy “Sonny” Johnson; son, Greg Johnson; sisters, Evelyn Dot Bowman, Mildred Bowman, and Jewell Bracket; and brother, Harold Davis. She leaves behind to cherish her memory, her loving children, Mandy Dawn (Brandon) Parrott, Regina (David) Moore, and Lebron (Sissy) Johnson; grandchildren, Jennifer (Ty) Howell, Eric Johnson, Marie (Brent) Conibear, Brandon DaRocha, Daniel Moore, and Leana Moore; great-grandchildren, Madison Johnson, Paisley Johnson, Waylon Conibear, and Ivory Conibear; sisters, Linda Buckner, Darlene (Tiny) Ramsey, and Diane (David) Farris; brother, Junior Davis; as well as numerous nieces, nephews, extended family, and friends. The family wishes a special thanks to her caregivers, Debbie Moore, Brittany Maynor, and Marie Conibear. The family will hold visitation on Wednesday, Sept. 27, from 1-2 p.m. at the Providence Baptist Church, 8523 Providence Road, Ooltewah, Tn. 37363. A celebration of life service will begin at 2:00pm with Pastor Tony Lewis officiating the service. Following the service, Ms. Phyllis will be laid to rest in the New McDonald Cemetery beside her late husband. 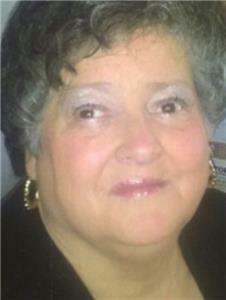 You are invited to share a personal memory of Phyllis or your condolences with her family at her online memorial located at www.companionfunerals.com. Companion Funeral and Cremation Service and the Cody family are honored to assist her family with these arrangements.